On Saturday, November 17, 2018 with our anti-displacement lantern parade we will light up areas that we, as neighbourhoods, will not surrender to speculation without a fight. What makes him shine? What gives him his superpowers to fight back against the predatory real estate industry, that wants to take our flats and shops away from us? The neighborhood solidarity dragon shines in many colors, speaks all languages, has a big heart and sharp teeth, can be very small and very long, and he hisses away rent increases and cancellations. He feels especially at home in nursery schools and community institutions. When threatened with gentrification, he pulls out his claws. The Kiezdrache wants more space for the social, for education and care. He does not accept our neighbourhoods being sold out by speculators. 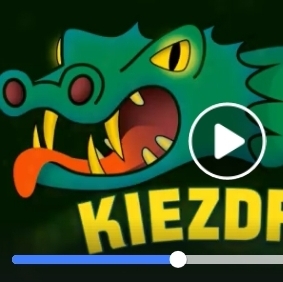 The *Kiezdrache* also hangs around neighborhood clubs or in his “kiez pub”, chats in the little shops, and likes cuddling on the couch in all our apartments – that’s why he’s fighting to keep everyone there! In our lantern parade we will visit places where neighbours are resisting repression, and others where the neighbourhood solidarity dragon has already been successful. and places where the solidary neighborhood dragon was already successful. We will pass through the neighbourhood with the local initiatives and community institutions, young and old. 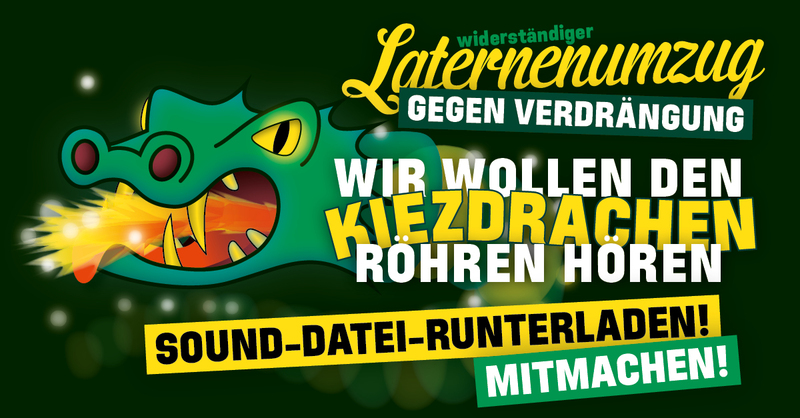 It starts at 5.00 PM on * Heinrichplatz *. Our route leads via *Oranien Str. * into *Wiener Str. * to the right into *Lausitzer Str. (stop in front of “Lause bleibt”, Lausitzer Straße 10/11)* in *Reichenberger Str. * then *Ohlauer Str. * via *Spreewaldplatz* into *Skalitzer Str. * A turn right into *Görlitzer Str. (stop before Görlitzer Str. 51)* to *Cuvry Str. (evtl. stop in front of Cuvry 46)* at the Kiezanker we turn towards *Platz ohne Namen*. Around 7 pm we finish, depending on the number of participants, in the “square without a name (Platz ohne Namen)” or in the garden of Kiezanker beside by the open micro for “acute cases” + soup and punch for young and old. Come and become part of the Kiez-dragon! Bring small and large lanterns and your own dragons – shine and sparkle! 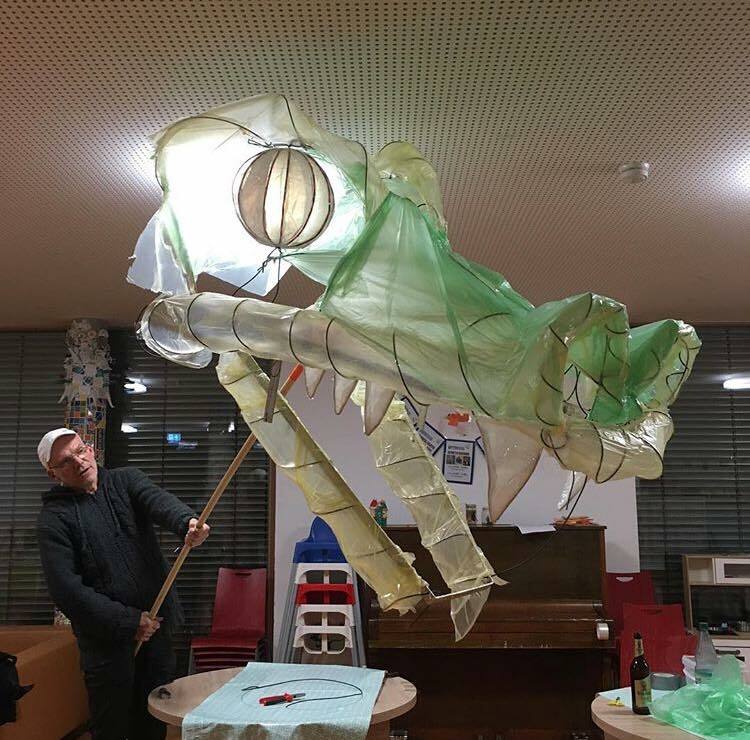 We will walk with our large luminous dragon through the streets of Kreuzberg, illuminating different sites of displacement, and fighting against speculation. 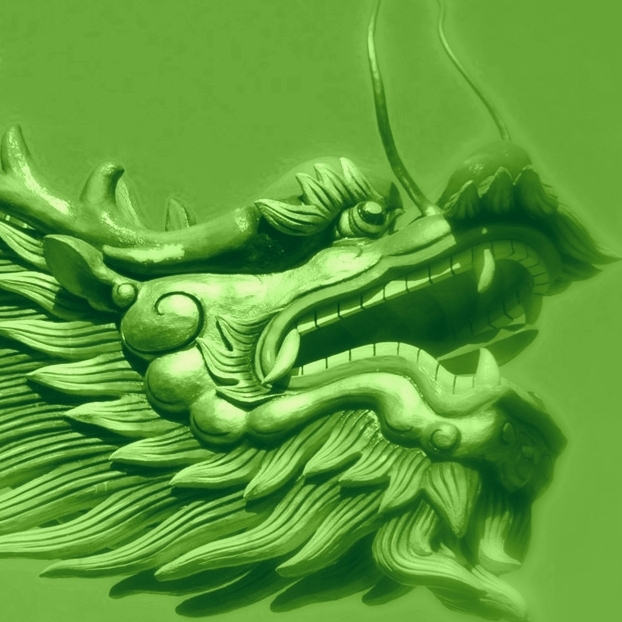 But the dragon should do more than just glow – it should be loud and make some noise too! Together we form a dragon sound from many mobile speakers! Many have mobile speakers for their smartphones (bluetooth) – bring them and become part of the jointly created sound carpet! The musician Alexander Spree has produced a piece of music for us that will sound by many different sources in the lantern procession. all messed up: It will sound great! Of course, such a dragon needs a lot of attention to make it shine. This entry was posted in events, for medias on 11. November 2018 by Arno.